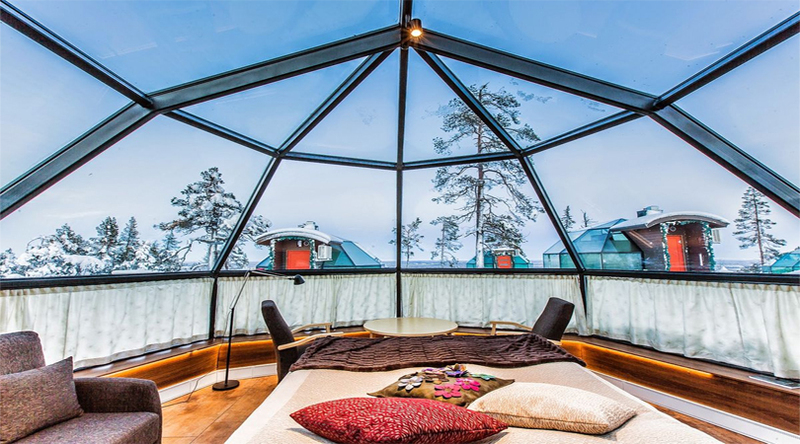 If you have a dream of visiting the most beautiful place covered with snow and where you can have the quality time of your life than your search ends here, the Kakslauttanen Arctic resort is the right place for you. This place in Finland is a destination in itself because of its setting and the amazing location it is situated in. It is one of the surreal experiences and this place is even listed as one of the place you must visit before you die. This place is like the white carpet been laid on a wide area and a small living space in a wonderful landscape. It is the hotel hidden in the wilderness of the Arctic and more over at the Northernmost tip of Europe. 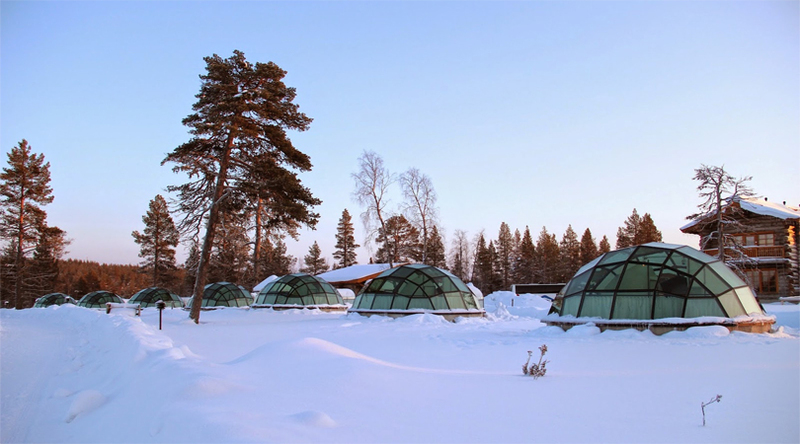 The aura which surrounds this hotel is tall green trees, reindeer farms, skiing slopes and igloos. This amazing place will surely remind you a scene from the first movie of Narnia. There is no regular hotel room in but rather rotund hotel rooms. The igloo’s are heated and have a transparent ceiling. 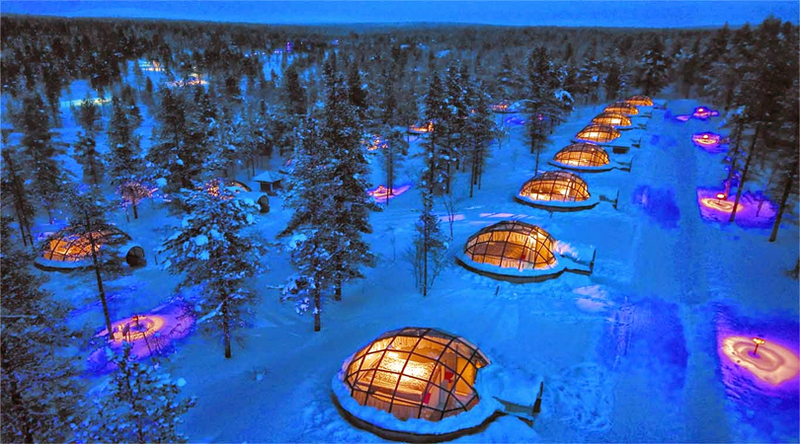 This place is so amazing that one would crave to stay here for long the landscape would be covered with snow, but the surroundings and the picturesque igloo will surely melt you. This is a perfect place for the newlyweds and honeymooners and for the lovers as well. We bring you the amazing location where you can celebrate your Valentine’s Day, your beloved’s birthday or your wedding anniversary for the best deals on Flights you can visit EaseMyTrip.com. Moreover, if we talk about this place, it’s sure that this fairyland will surely give you sweet memories to cherish. The location of this resort offers several snow activities like ice sliding and one can also indulge in skiing activity few kilometers away from the resort. One can take a flight from Helsinki in Finland to Ivalo in Finland. This location (Kakslauttanen Arctic Resort) is just 30 minutes away from the Ivalo Airport; afterwards one can take bus or cab to reach at the location of this resort. One can also take an overnight train from Helsinki to Ivalo. One can take the bus service from Rovaniemi in Finland to Kakslauttanen Arctic Resort; the bus will drop you just in front of the resort. The rent or the accommodation charges of the igloos start at £200 pppn and log cabins start at £150 pppn. If you want more information about the same visit their website www.kakslauttanen.fi. Surely pack some warm clothes, thermals and snow boots. These things will help you to enjoy in the killing cold weather. Take some hard liquor or brandy which is very much required in that area. Kakslauttanen is not a luxurious resort, it’s just the location and the heated accommodation you are paying for so do not expect it to be a luxury resort. Moreover the facilities are great which include warm toilets, expansive dining area and 3 course dinners but do not expect a 5 star quality of the food, dinning or other facilities. Don’t forget to carry ready to make noodles, a few bars of chocolates or sweet snacks, ready to make coffee and tea bags. Plan excursions as well while staying at the Kaslauttanen Arctic Resort. 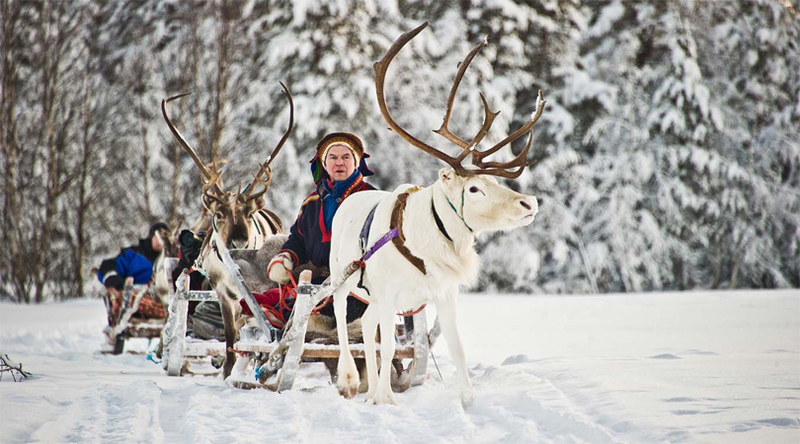 You can plan a day out at Pentti’s reindeer farm and snowmobiling at midnight.